Doing different things is not so much about inventing something new, but about responding to a wider and diverse range of needs than before. To address them, accountants need to adopt a new mindset. When everything changes, one thing remains: professional accountants need to continuously prove their capacity to create value through their work. Until recently, accountants and business have been mostly listening to one another, but also to investors and regulators. The rising influence of civil society, ranging from community associations and non-governmental organisations to professional interest groups, changes this long-established dynamic. 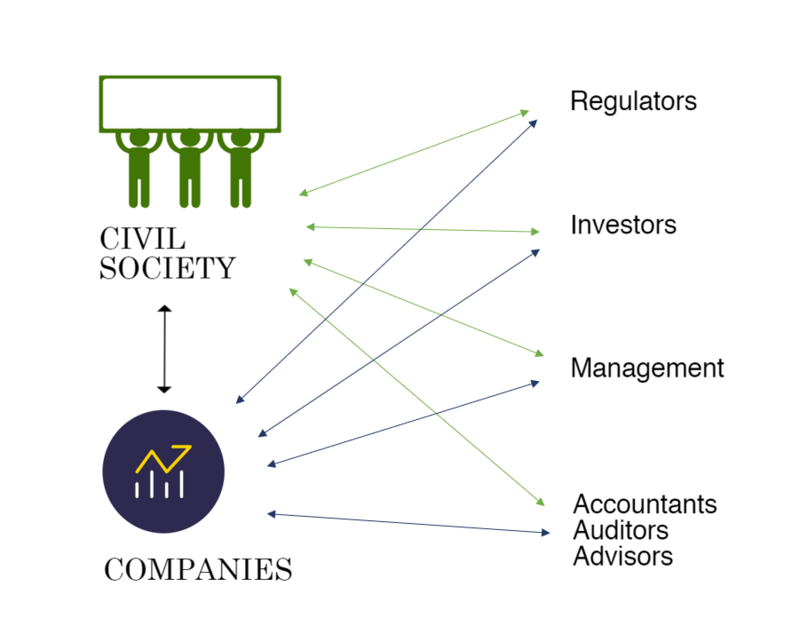 Civil society wants to know not only about companies’ financial performance but also how they operate. In addition, civil society asks for transparency in how public entities spend taxpayers’ money. This translates into a need for accountants to help ensure a sustainable economy and respond to a growing demand for trust and ethical behaviour. So how can accountants help fulfill these needs? Back in 1920s, Henry Ford translated what people wanted – faster horses – into what their real need was – to move faster. By building a car, Ford didn’t adapt to change but he responded to their needs. Creative listening equally applies to accountants. It is not about adapting to the latest buzz, but to leveraging existing services and technologies to different contexts and needs. Promoting social and environmental responsibility is a new social demand where accountants play an increasing role, such as in sustainable finance and non-financial information (NFI) reporting. There is a great debate on robots replacing accountants. Yes, that might be the case for routine tasks such as document analysis processes as artificial intelligence provides fast and extremely accurate outputs. But this will leave more space for accountants to take on higher-value activities such as strategic planning, creative thinking and analysis. Robots or computers can do many things except inventing their own raison d’être. Plus, as they have no notion of right and wrong, they cannot respond to society’s demand for more ethics and morale. Accountants can use technology as the tool to reach the next level. Education and training systems will have to focus on the kind of creative thinking or human interaction skills that artificial intelligence cannot replicate. We live in an era where information’s truthfulness is under scrutiny. Fake news deliberately misinforms people for political or financial gain. Especially now, trustworthiness determines the value and impact of information. Accountants ensure the financial information reported on is accurate and true. What gets measured with the proper degree of accuracy and assurance is less prone to alternative facts. NFI is not subject to the same level of assurance as audited financial information. Independent assurance can make the NFI that companies report more reliable. Professional accountants have experience in providing independent assurance and reporting, and they abide by standards on quality and ethics. Tax is another area where accountants can use their skills to benefit society. Taxpayers and tax authorities benefit from enhanced transparency. Accountants can help design systems that mitigate tax-related risks and can provide assurance on tax control frameworks. There is a great future for accountants! They need to seize the opportunity, engage in creative listening with society, and report on and provide assurance to make society regain trust in the accountancy profession. BlogHow can accountants do things differently?